Yesterday was an emotional day for three people -- two parents who lost their daughter 24 years ago were amazingly reunited. 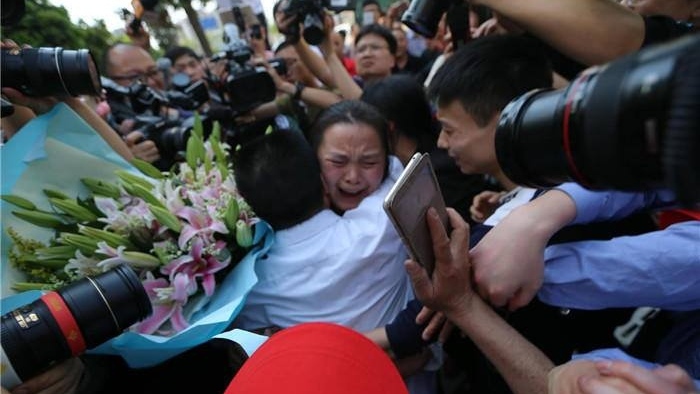 Kang Ying, now 27, made an emotional journey to see her father Wang Mingqing and mother Liu Chengying yesterday afternoon with lots of media attention. Xinhua News filmed the event live as Kang rode a special shuttle bus for over 40 minutes with her husband and two young children, and reporters were constantly interviewing her. She seemed emotionally exhausted, crying periodically that she was finally going to see her birth parents. When she was three years old she went missing in 1994 from her parents' fruit stall in Chengdu, Sichuan. She was later adopted by a single man who lived 20 kilometres away. She was told at a young age that she was adopted and wondered who her real parents were. Her adopted father drowned when she was 10, but his family raised her and then four years ago she got married and moved with her husband to Panshi in northeastern Jilin province. Meanwhile father Wang did not give up -- he became a taxi driver in 2015 in the hopes that his daughter might be his customer one day. He also distributed flyers to his customers and asked them to help spread the word of his search for her on social media. Then from news reports, a police officer who specializes in drawing portraits, read about the story and drew a composite of what he thought the daughter would look like now, based on the parents' facial features as well as a photo of Kang's sister. Kang saw the portrait and felt that it could be her. "It was like I was under a spell during those days," she said. "I kept looking at those reports and the drawing. 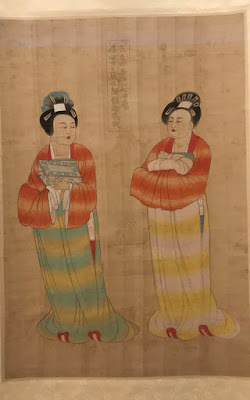 Like the reports said, I have a scar on my forehead, and I feel nausea when I cry." She took a DNA test on Sunday and then contacted Wang to say she was his daughter. When Kang saw her mother, she cried out, "I'm a child who has a mother. I'm not motherless." Meanwhile mother Liu tearfully said, "It's all my fault", while her husband pushed away the crowd of reporters and onlookers to finally hug his daughter. What an intense reunion! There was so much media attention that it wasn't fair to the family for something so private to be so public. "I really need time to absorb the change. Everything's happened so fast. It's like the people in my dreams have walked into reality and are standing in front of me," Kang said. Hopefully the family will have some private time to get reacquainted with each other again. But this story really is a miracle. 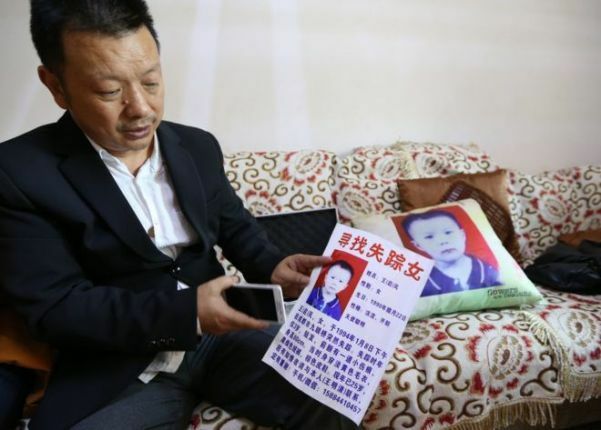 Many children in China who are kidnapped or stolen don't know they are adopted, or have no idea where their parents are because they were too young to know their parents' names or addresses and such. 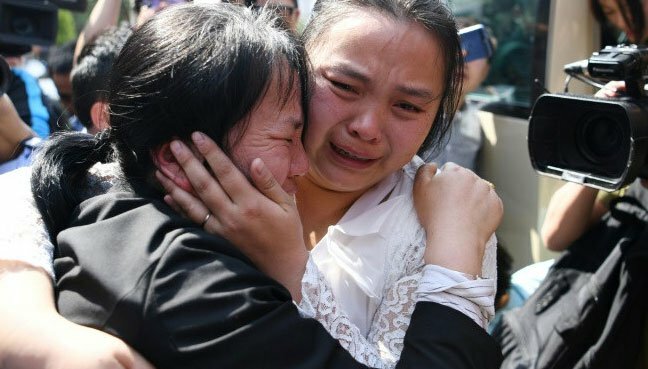 There is more attention on these children who were snatched from their parents, and hopefully through more awareness and DNA testing, more of them will find their birth parents. With so much media attention on Kang's plight, perhaps the government wants to show that it played a crucial role in her finding her parents? Does this fall into Xi Jinping's China Dream? A harmonious society perhaps?